During the run of the exhibition, Hill was in residence in the gallery to construct a map in real time and shift her collection process. The public was invited to assist with the mapping process by adding their personal responses to the display in the gallery. An accumulating contribution of ephemera, family photographs, and stories were strung together to create new narratives that grow, change, and reshape history. 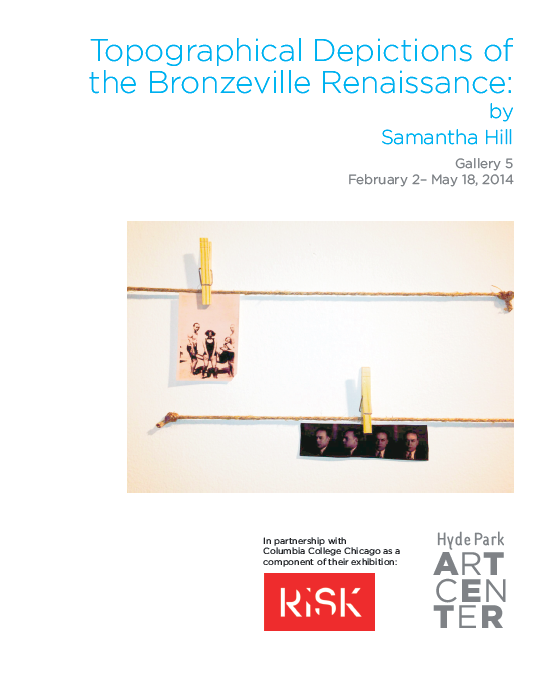 Part of the gallery was transformed into an office installation with furniture and artifacts lent from the Bronzeville Historical Society to provide a work space for Hill. 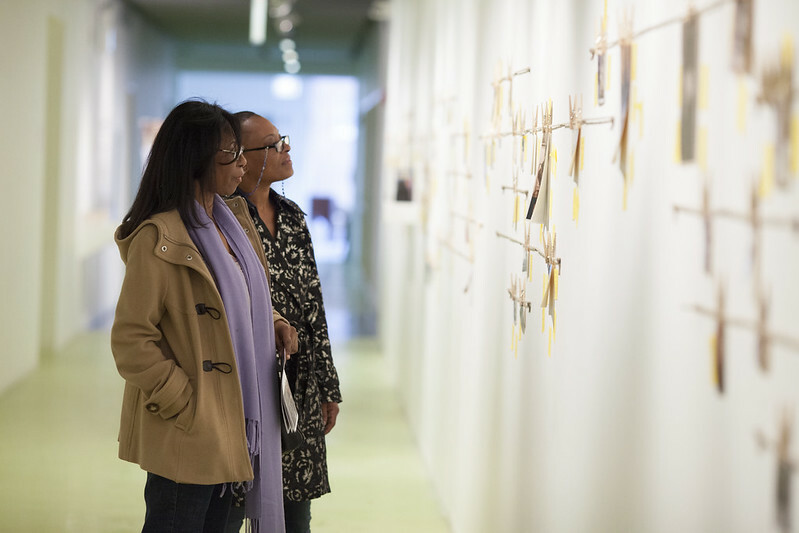 Using the Art Center’s darkroom photography facility, Hill also introduced tintype portraits of contemporary Bronzeville community members and organizers into her installation. 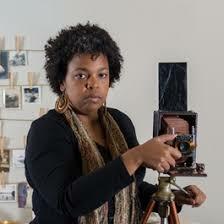 The tintype work was on display at Blanc Gallery from February 28 until March 23, 2014. This exhibition was a satellite component to the exhibition Risk: Empathy, Art and Social Practice concurrently on view at The Glass Curtain Gallery at Columbia College Chicago (from February 12 until May 6), 6018North, and Dorchester Projects’ Archive House and Hyde Park Art Center. RISK considers the interdependent role of empathy and risk in socially engaged art as practiced by Chicago contemporary artists. The exhibition, curated by Amy Mooney and Neysa Page-Lieberman, focuses on artists who seek to activate communities, invite the outside in, blur the lines of public/private, reveal our mutual dependencies, and effect social change.